Guess what are we having? Steamboat? Nope! You are wrong. Try again. 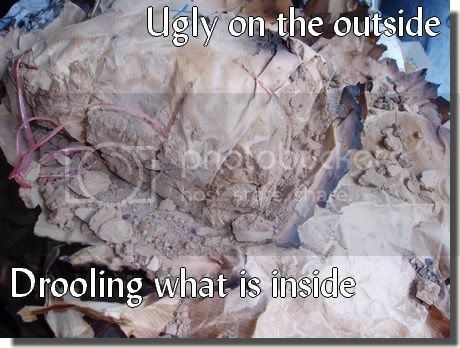 Let me give you a peep as what is in the clay pot. Duh! Told you we are not having steamboat. Give you another clue. We have fresh looking lamb meat. ..... and some bright colour looking dip. It tasted like savoury peanut butter with some dried chilies. Stop guessing steamboat. There ain't no steamboat here. Ok. I'm spilling the beans now. 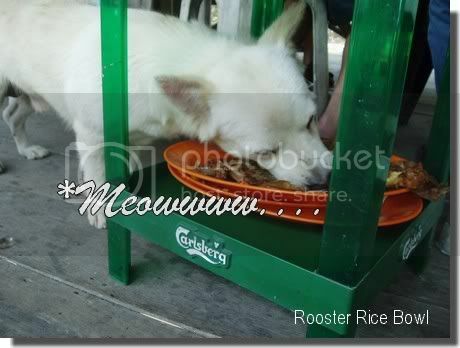 This is how Shanghainess eat their lamb. 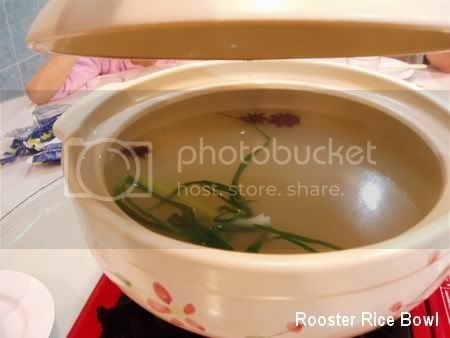 Firstly, you boil a pot of water with cinnamon stick, star anise flower, ginger and some spring onion. 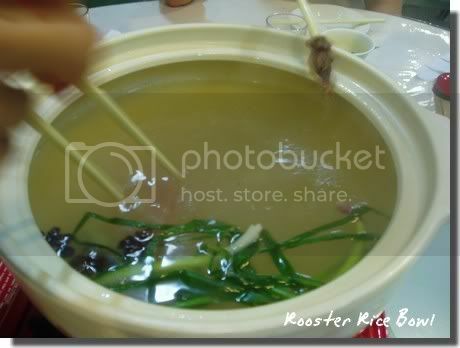 When the water come to a boil, pick up a piece of lamb meat with your chopstick and dip them in the boiling water. 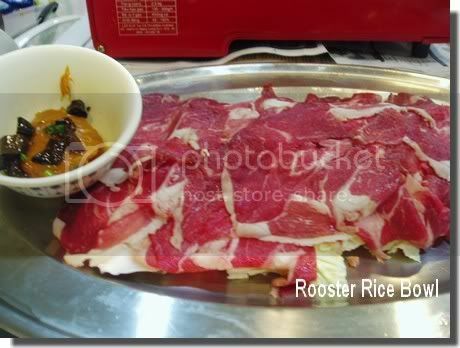 Don't overcook your meat by vigorously shaking your chopstick while holding on to that piece of meat. Or, for some impatient eater, you can use a strainer laddle for a larger amount of quantity. Duhh, they still taste the same. Eat the meat together with the dipping. 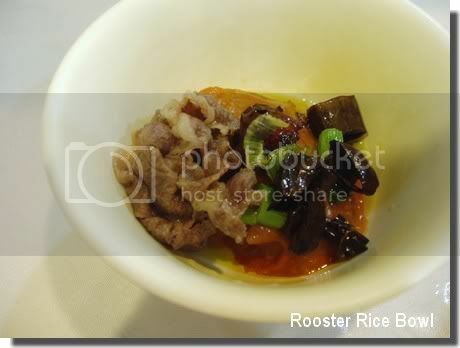 If you are hot chili lover, take a bite of the dry chili. 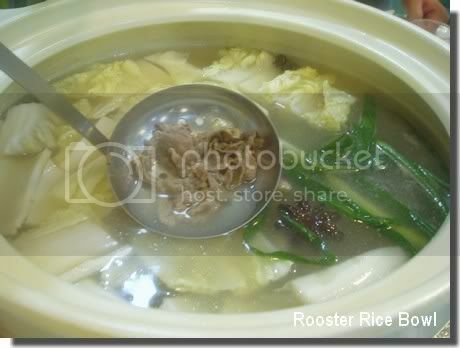 After you have finished all the meat, put in the chinese cabbage. What do you do with left over dipping? Pour the remainig soup in the dipping. Stir the mixture throughly and it is as delicious as a bowl of fah san woo. 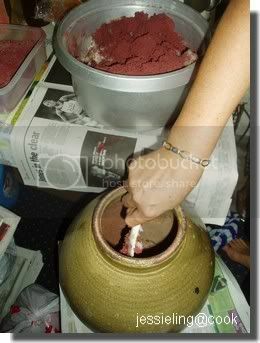 To cook a sinfully delicious red rice wine mee suah, check out this foochow lady for her secret recipies. 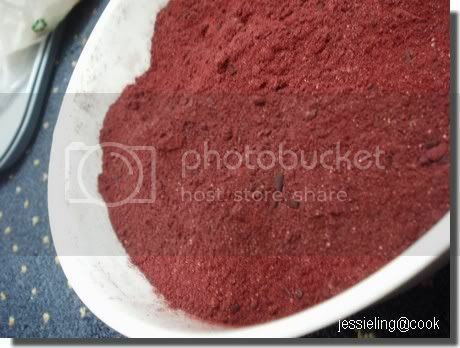 Learn how to made your own foochow red rice wine *click. 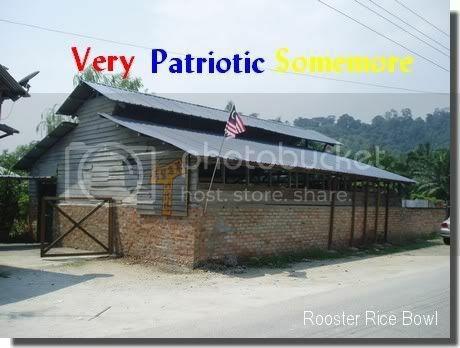 This eatery very pah pai wan. You must book beforehand or else they won't let you eat there cos their chicken or pork is pre-booked. They have only 4 or 5 extras for desperate walk-in customer or tapau customer. First thing when you reach there (don't worry about your table since it is already pre-booked) must visit their "smoke house" aka kitchen. Once you are at their door step, instantly you can feel the heat. 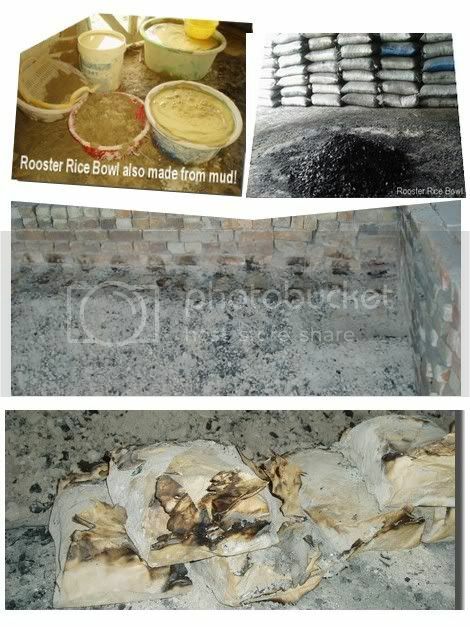 This is how they cook the chicken. First of all they marinate the chicken in lots of chinese herbs and seasoning. Then wrap with parchment papers before covering them with the icky mud and few layers of brown paper and place the package in hot charcoal but not the red burning type. Something like left over hot ashes for 3 hours. 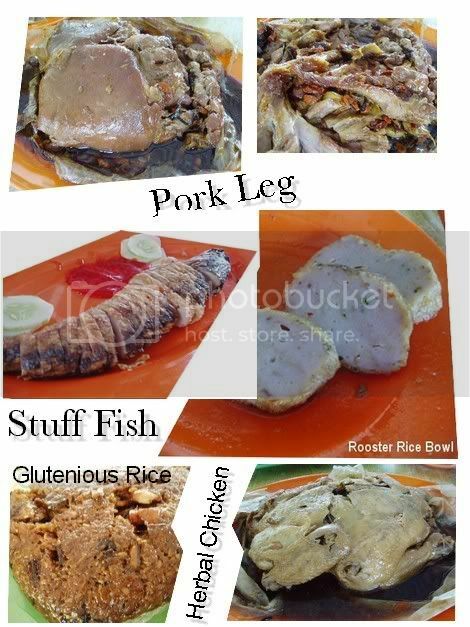 The first one is pork leg and the last pic is chicken. Both is cook in the same herbs and same way and they taste basically the same. And the glutenious rice is cook in the same way too minus the herbs but they have lots of lap cheong, fatty pork and chinese mushroom in there. The fish is a bit unique. Firstly they scrap the fish meat seperating the centre bones without breaking the skin. 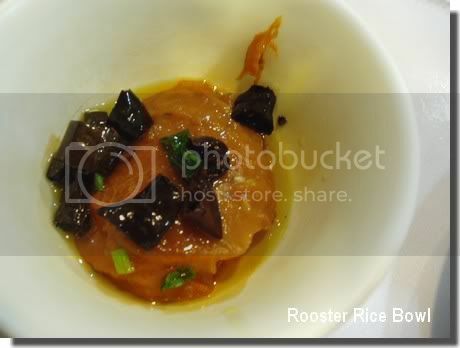 The fish meat is place in a blender and marinate with seasoning, coriander leaves, carrot and some tapioca starch. It was then stuffed back in the fish skin thru the mouth opening. After deep frying, they tasted exactly like fish ball. 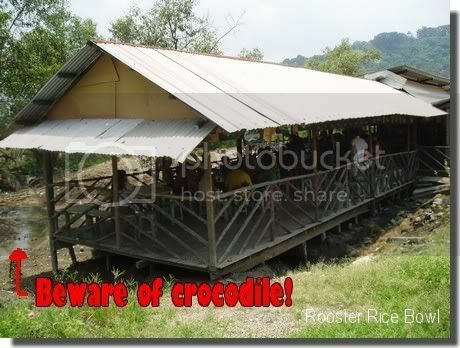 You are surrounded by the tranquility of swamp while enjoying the delicious meal. The dog sure knows how to enjoy the best of the last i.e. the left over chinese herbs and bones. 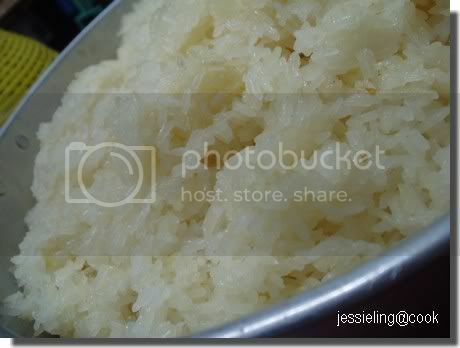 Cook in the rice cooker and let them cool. 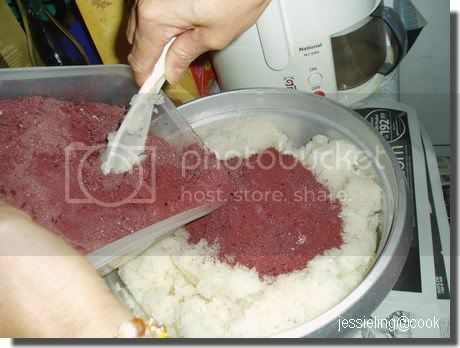 Mixed blended mixture in the cooled glutinious rice. Scoop them into a urn. Don't have to mix them throughly. Just agak-agak. Remember, all the process above shall not have any moisture or water droplet in contact or else wine will taste sour or rosak. 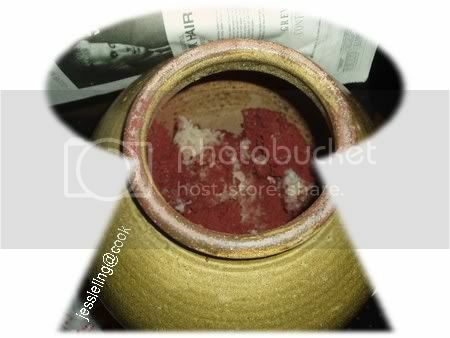 Closed the urn with a piece of white cloth. 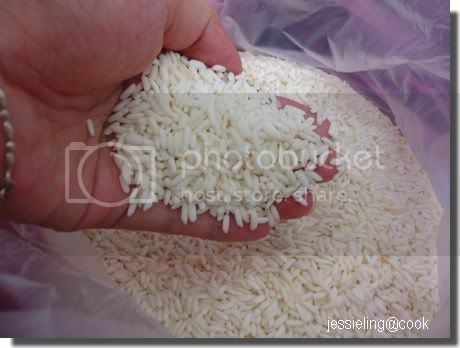 After one week, stir the fermented rice with your hand so that they blend well. 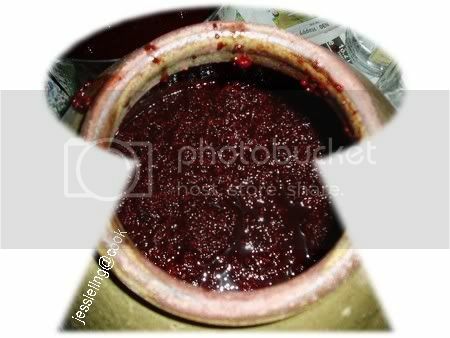 Close the urn again and let it ferment for 45 days. Make sure all utensil is throughly dry. Get ready bottles (no plastic) and a funnel. 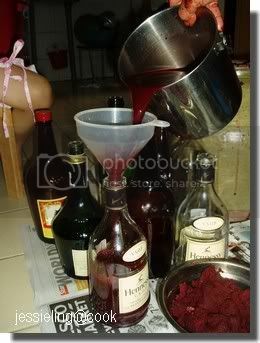 After squeezing, pour wine into bottles. Kau tim. Very easy only. 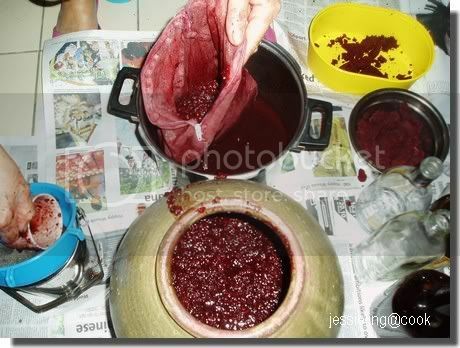 Next would be a secret recipes on how to cook a sinfully delicious bowl of red rice wine mee suah. Some people learn how to cook but I admit that I've got talent in them and it just come naturally to me. For example when I went to a chinese restaurant and savour one of their dish, I will be able to tell how the dish is cooked. Of course it has to be a simple one. In fact, cooking is all about common sense. You just put a little sense in them and some trial and error, you may get them perfected the next round. Cooking is different from baking. You need to get the measurement right for every ingredients or else it won't turn out right. That is why I prefer cooking dishes rather than baking. In cooking, every ingredients are by rough estimation. If you prefer less salty or more spices, just add them according to your preference. 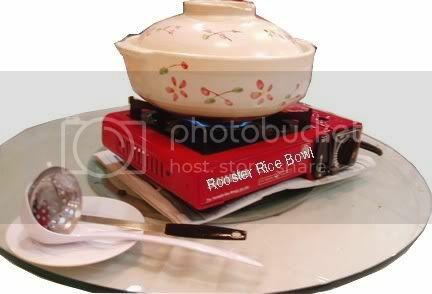 As a chinese, it's a tradition to eat in a bowl using a chopstick to hold on the dishes. A spoon is for scooping gravy or drinking soup. This tradition is soon going extinct. Sad to say, I prefer using fork and spoon too. Holding a chopstick is an art that you must master and get perfected which I never did.